As a nomad do you find it hard meeting single likeminded people who share your lifestyle and values? Who are as nomadic as you, able to travel, yet still focused on their work? with someone who understands you and the lifestyle, you have chosen as a nomad. Say goodbye to odd dating apps that won’t work for Nomads. Say hello to over 11.000 likeminded singles around the world. Create your free profile and start connecting. Our events are the best way for you to connect to our community of single remote workers. We do regular offline and online events, parties, speed datings, retreats, adventure weekends and interaction games in our Facebook Group. Our games make it easy and fun to meet like-minded singles, so what are you waiting for, come and take a look. 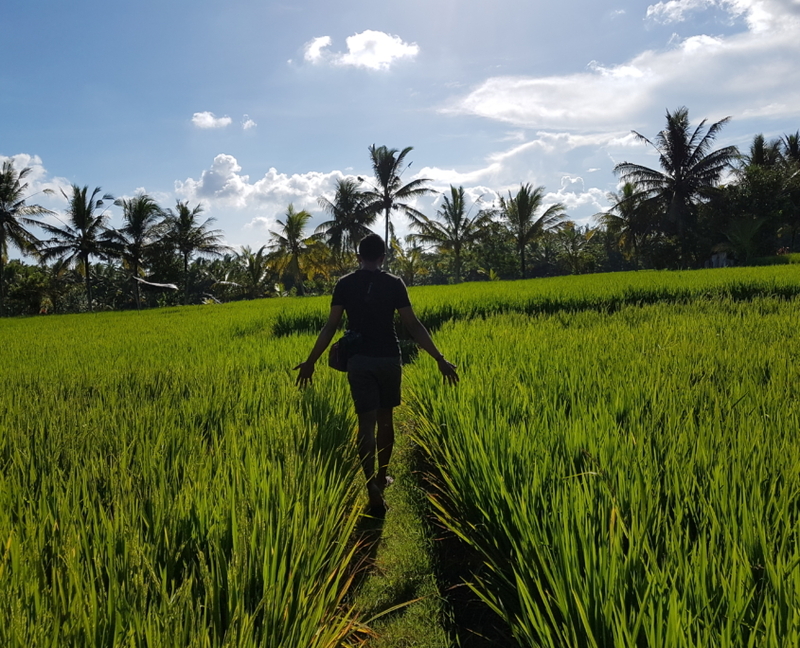 In September 2019 we gather 20 digital nomads from our community in Bali for 7 days! Together we will explore the island, do workshops, and go through challenges that will bound you closer together. This is a unique opportunity to do what often is so hard: Having the time to really getting to know fellow nomads and to build relationships. This helped Kami and her boyfriend Jurgen to meet each other at our last retreat. They became a couple a few weeks after. It all started with a Facebook Group – Join our tribe! 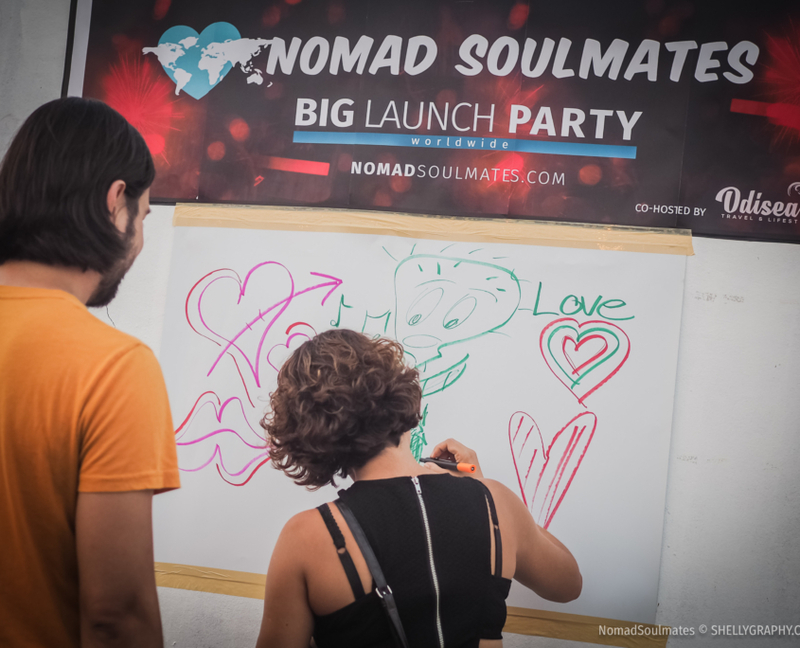 Nomad Soulmates started out as a Facebook Group and quickly grew to an incredible community over the years. Connect with over 11.000 people all over the world and build meaningful relationships and friendships. So how does it actually work to get connected, and finding dates in our group? For this we made a downloadable guide that explains everything step by step – and yes it’s free. Are you a passion seeker, world changer, economic leader, business owner, freelancer and a remote working rockstar? Then we can not wait to welcome you in our Facebook Group! We can proudly say, that we connect nomads every single day and that many found their nomadic partners already through it. Want to know how to use our FREE Facebook Group for online dating? Facebook is initially not made for online dating, so we show you what in our experience works best to meet amazing women and men in our community. Whitelist our newsletter to not miss the BUZZ that’s going on in our group. You love it? Tell your nomad-friends about it!